Jackson spokeswoman: singer, sheik settle lawsuit11/23/2008 6:44 PM, APJill Lawless Michael Jackson has reached a settlement with a Bahraini sheik who says the singer owes him $7 million after breaching a signed contract, the pop star's spokeswoman said Sunday. The out-of-court settlement means Jackson will not be giving evidence at London's High Court as scheduled on Monday, Celena Aponte said. Scores of journalists and fans had been expected to cram the courtroom for the appearance by the always-unpredictable King of Pop. Aponte said Jackson was informed of the deal as he was about to board a flight to London. "As Mr. Jackson was about to board his plane to London, he was advised by his legal team to postpone his travels since the parties had concluded a settlement in principle," Aponte said. "Therefore, he will not be attending court on Monday." A representative for the sheik could not immediately be reached late Sunday. 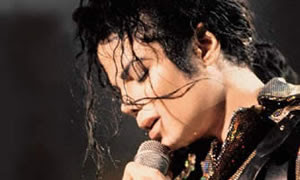 Sheik Abdulla bin Hamad Al Khalifa said he gave the singer millions and planned a series of collaborations following Jackson's acquittal on child molestation charges in June 2005. Al Khalifa, 33, invited Jackson to the small, oil-rich Gulf state to escape the media spotlight. The sheik, the second son of the king of Bahrain, said he believed he had formed "a close personal relationship" with the star, whom he referred to affectionately as "my brother." Al Khalifa said he gave Jackson millions of dollars to help shore up his finances and subsidize Jackson's lifestyle in Bahrain — including more than $300,000 for a "motivational guru." Al Khalifa, an amateur songwriter, says the pair even moved into the same palace to work on music together. But Jackson dropped the project in 2006, leaving Bahrain and pulling out of the contract. Jackson's lawyers have maintained the money was a gift and argued that the musician wasn't bound by the deal because the contract was signed on behalf of 2 Seas Records, a venture which never got off the ground. The singer originally wanted to avoid coming to London to answer the lawsuit in person, seeking instead to give evidence by video link from the United States. His lawyer, Robert Englehart, had claimed that Jackson should be spared the trans-Atlantic trip due to an unspecified illness, but on Thursday the lawyer said the 50-year-old star had been cleared for travel. The suit is being heard in London by mutual agreement. Jackson's purported medical problems — and his sometimes bizarre demeanor — have been a regular feature of previous court appearances. His 2005 trial was punctuated by complaints of back problems, an apparent bout with the flu and visits to the hospital. At one point, the judge had to order the pajama-clad star into court from the emergency room. His most notorious appearance came in 2002, when a wide-eyed Jackson testified in a California courtroom with what appeared to be a bandage hanging from his nose.